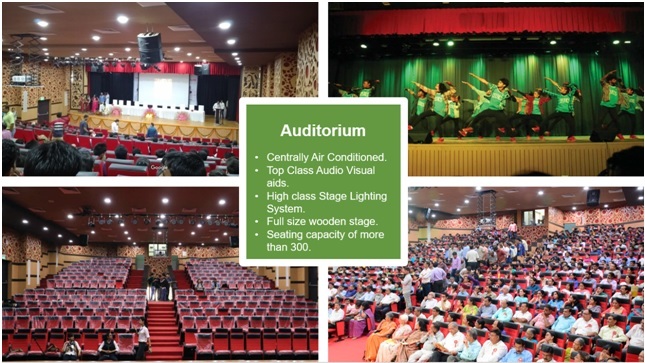 A state of the art Auditorium with a seating capacity of about 400 is centrally air-conditioned and is fully equipped with audio-visual facilities. The stage has wooden flooring to facilitate activities like dances, drama and concerts. It is also used for Seminars, Conferences and Lectures by eminent speakers.